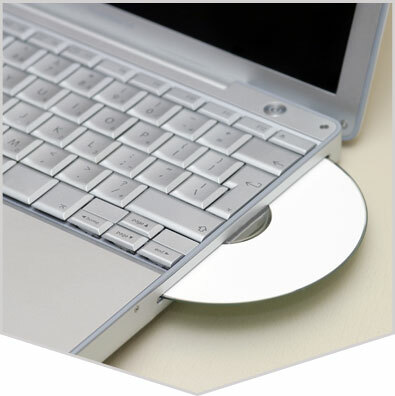 Our Data Rip, DVD CD Ripping Service, Data migration are the best in the Nation! Data migration, ripping, archiving and rip are terms for extracting the data from your media and placing them as digital files on a hard disc. Rip, ripping, archiving discs, and data migration to other media is a great way to not only reduce the physical size of your discs, but also help ensure the safety of your data for future use. A leading producer of quick turn, high quality, low price, DVD CD ripping services, DVD CD archiving services, DVD CD data ripping, copying cds to hard disc and data migration with files such as mp3, wav, ogg, flac or save your DVD CD data to hard drive. Rimage Video Protect™ (RVP) is a form of content alteration. It guards against unauthorized copying and ripping of DVD Video content by encapsulating data files in areas of the DVD disc that are not read during playback. This solution not only leaves playback compatibility uncompromised, but it also leaves the original media content unmodified. Since RVP™ is a passive form of protection is does not require the player or content to be loaded with tracking software or heavy code. This also means that a minimal amount of space is required to utilize the protection, allowing a maximum amount of space on the DVD for the original content. Need help with design? DupeShop can design your CD, DVD and Blu-ray label to your liking. We can also design the printed insert for the front of your DVD Case. Please ask for a quote to design your printed material. Our designers are very creative, we work quickly to meet your due dates and our pricing is solid. Please request a quote by email or by calling 1-866-874-8725. DVB Media is your fast turnaround CD duplication, DVD duplication, Blu-ray duplication and USB flash duplication vendor. No one is faster and no one can copy our printing quality on disc. You need our Everest print quality on your CD's, DVD's and Blu-ray. Do not get for inkjet or paper labels, over time they rot media. At DVB Media we use Everest high resolution thermal gloss coat printing. Everest thermal is the best process available and DupeShop uses nothing but Everest printers. Our CD, DVD, and Blu-ray duplication services are the best in the US, and we have the lowest prices around. Give us a shot, we won't let you down! If you have questions, please feel free to Email us sales@dupeshop.com or contact us now toll free 1-866-874-8725 and ask to speak to a CSR. We offer more choices and better value than any other disc supplier. Give us a call, you'll be glad you did.